I normally don’t post instant win games, but Twix is giving away over 250,000 prizes so the chances of winning are high. Click here to visit the Twix site and either register or login to play. If you don’t have a game code, no worries just click where it says “Don’t have a code” and they’ll give you one. You can play everyday until December 30th! I won a coupon for a Twix bar! Yay I won a twix bar too. Thank you so much. I just won a twix! Thanks for posting this link!! Won a Twix bar with the free code. Thanks! i won a coupon for a pb twix bar! Yay! I won a coupon for a twix bar! I won a Free Twix Bar also, waiting 6-8 weeks. I am giving it to my husband. He is the twix lover(I like Twix, but can not eat them.) I am happy! 🙂 Yay, free candy. I got one! A coupon for a free bar should be arriving in 6-8 weeks. Yum! I won – yay! ty!! I won a Twix !!!!! I got a twix bar too!! YAY! I won coupon for free bar too! I won a twix bar! Cool!! Won a twix bar my first go. They’re sending a coupon, not the actual candy bar. LOL! I WON A FREE TWIX BAR! got a free twix!!! my fave candy bar!! thanks! It worked. I got a free candy bar! Please can I have a coupon?? I won a Twix Caramel Bar. Thanks! Thanks, I won a coupon for a Twix Peanut Butter bar!!! Won a coupon for free candy bar…better then nothing…thank you….. I just won a coupon for a free caramel Twix candy bar! Thanks for the link! I won a twix bar, wooo! I got a coupon. Yeah! 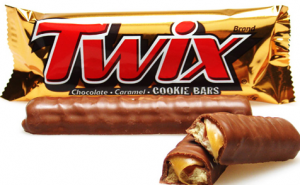 What can you do for a Twix bar eat one today yum. i won a candy bar! I think you only get a code one time.Please let me know if anyone was able to get a code after the first time played.Thanks! Yippie!! I just won a Twix Candy Bar. Page won’t load all the way…..just keeps refreshing. Anyone else have this problem? NoYou only get 1 code. The rest U have to buy to get.